Whether you’re naturally blonde or looking to sport some new color, our blonde remy hair extension are the absolute best in the game. 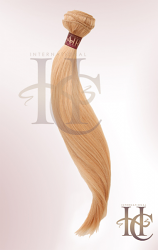 To deliver only the most beautiful, silky soft, and shiny hair, our blonde remy hair extensions are made with high quality, 100% human hair and absolutely no fillers. If your hair sheds or mats, simply send it back within 14 days of receiving your hair, unused, in its original condition. We will refund the cost of your hair with no restocking fees.